EXCLUSIVE: Happy St. Patrick’s Day, from Danny Boyle! 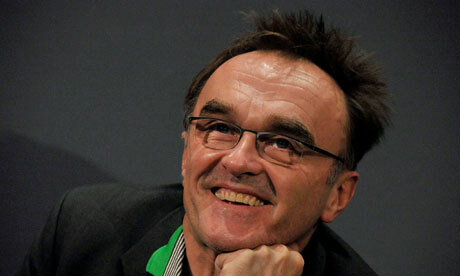 I do believe Danny Boyle and I have chatted before on the cusp of St. Patrick’s Day. But I’ve never asked the great British filmmaker of Irish descent if he, when he’s stateside especially, gets caught up in the day that seems to be a much bigger deal over here than in the U.K. I got Ciaran Hinds to explain “Diddly aye” music to me, once. But never a word from Boyle on the Day. “It was a big thing in our thing in our family, especially when we were kids, because relatives from over in Ireland would send us over fresh shamrocks. I remember waiting for them in the post, really vividly. That was an occasion. “And a few years ago, I spent a St. Patrick’s Day in New York. Which I have NO memory of. None at all. I just know that I woke up, and it wasn’t St. Patrick’s Day any more. All I can recall was that it must have been really good. Started off in a bar, and after that, a blank. A glorious blank. The film is “Trance,” an art heist picture with Danny Boyle touches — head games, hypnotism, humanity, love and loss and betrayal.James McAvoy, Rosario Dawson and Vincent Cassel star. It goes into limited release in the US in April.